ALL PHOTOS ARE GUARANTEED FOR APPROVAL. DIGITAL FILES / SOFT COPIES ALSO AVAILABLE at most of our locations. Please Contact Us for a Pair of Emergency Photos Free of Charge. 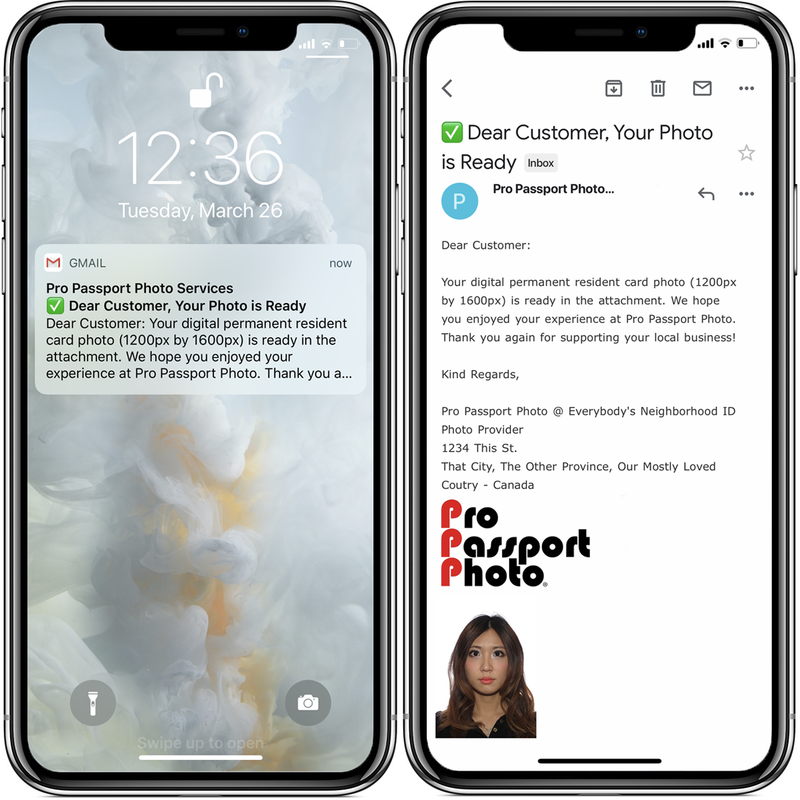 At Pro Passport Photo, we provide ID photos in less than 10 minutes with no appointment required. Baby/infant photo service is not available at all of our locations. Please call 1-800-456-6132 for more information. The photos must show a full head without any head covering, unless it is worn for religious beliefs or medical reasons. The Photographs must show the full front view of the head, with the face in the middle of the photograph, and include the top of shoulders. Photographs must reflect your current appearance (taken within the past six (6) months.